According to a survey conducted in the U.S. by J.D. Power, the Apple iPad has been named the top tablet for customer satisfaction. This is the third time that Apple's tablet has won the J.D. 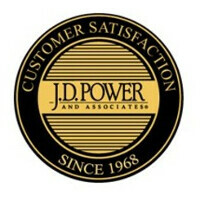 Power's U.S. Tablet Satisfaction Study, and it was the only slate to score a perfect five in the Power Circle ratings. Low-cost tablets did play a part in the drop in the overall satisfaction score from 853 in 2012 to 835 in 2014. These cheaper devices also drove down the average price from $390 in 2012 to $337 in 2014.